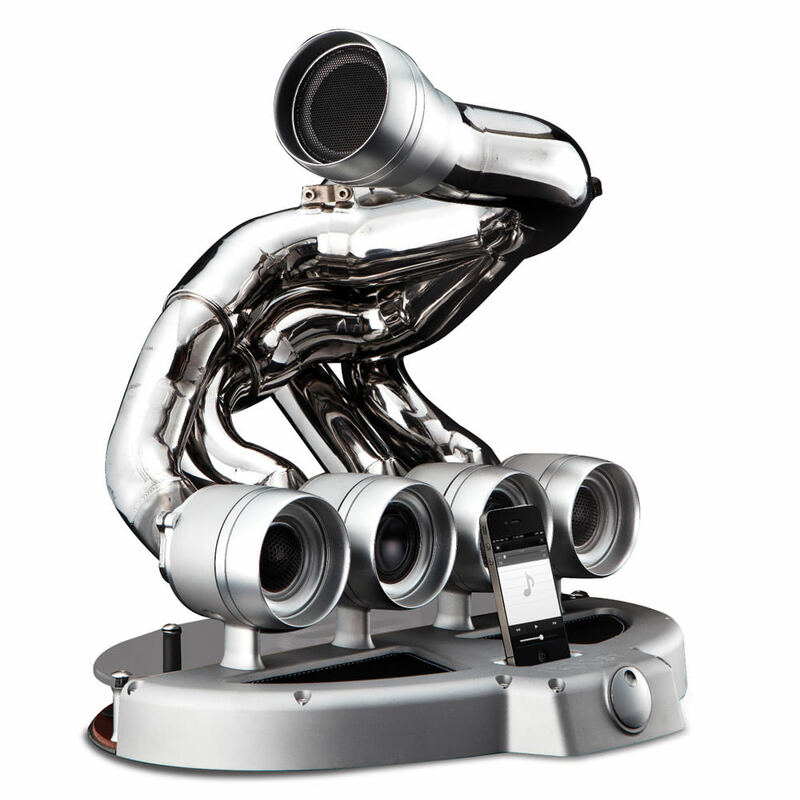 The Formula One Speaker Dock you see above is made from an actual retired right manifold pulled off one of the previous generation V8 F1 cars, customers are given a choice between a Cosworth DFV, a 2006 Renault RS26 or a 2007 Ferrari 056. 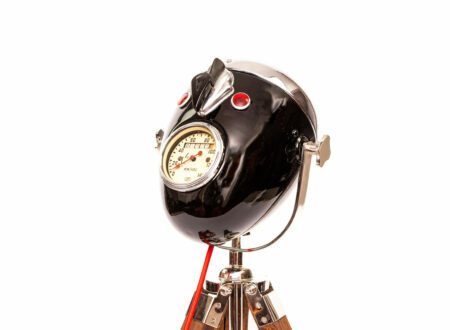 I’m not particularly well-versed in the trickery and magic of high-end hifi systems so rather than transcribing the description I’ve included it in full below – for those who know the difference between a tweeter and and silk-dome. 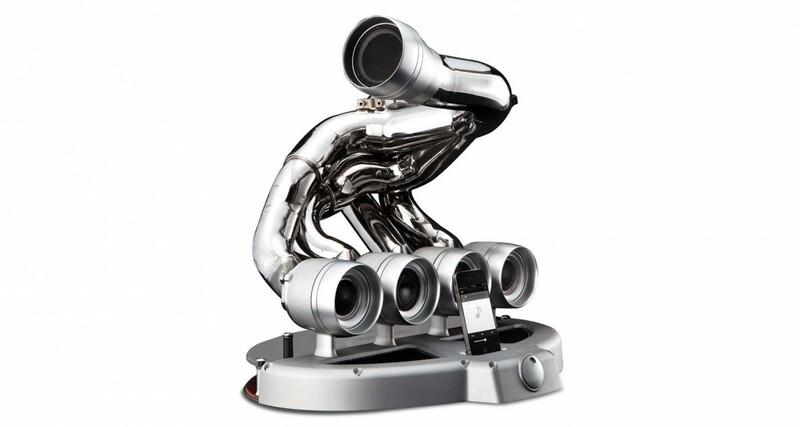 This is the iPhone speaker dock made from the exhaust manifold of a retired Formula One race car. 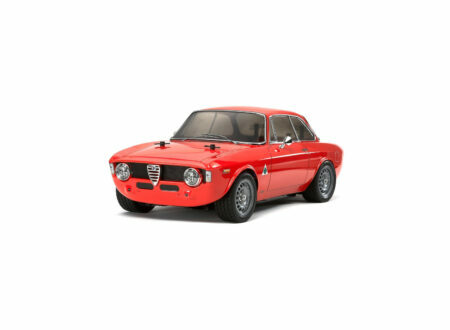 Crafted in Modena, Italy, the city considered to be the cradle of Italian racecar innovation, the dock is constructed from the left or right manifold of a retired eight-cylinder F1 engine of your choosing, including a 1978 Cosworth DFV, 2006 Renault RS26, 2007 Ferrari 056, and others. 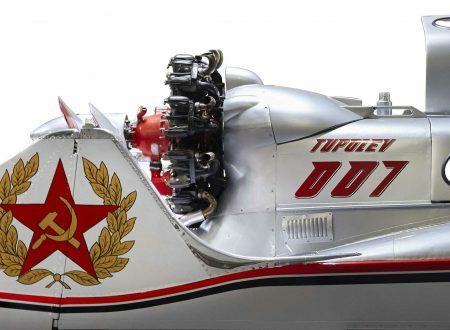 Housed in the openings of the manifold’s four headpipes and each driven by neodymium magnets, two silk-dome, 70-watt tweeters and two PPM-cone, 70-watt mid-range speakers provide clear highs and mids. The end of the manifold’s collector tube houses a doped-paper cone 140-watt active subwoofer driven by a high-density flux ferrite that provides booming bass. The base, leather trim, hex screws, and corrosion-resistant 6082 anodized aluminum speaker cowlings come in a choice of six colors.